Play Slot Machines Online - For Fun or Money in USD, Euros, GBP or AUD! Preview online slots games – read reviews – download the free software. Aussie Online Pokies Play Pokies Online – a site for Aussies who want to play video poker machines at home. Bingo Street Play Bingo online at Bingo Street! A UK website with fun bingo games & a community feel. Jackpot City Bingo A website for bingo fans, includes free and paid bingo play, loads of fun for all. Riverbelle Online Casino Riverbelle is the casino of choice for A1Slotmachines, the games we have reviewed can be played in Riverbelle software. 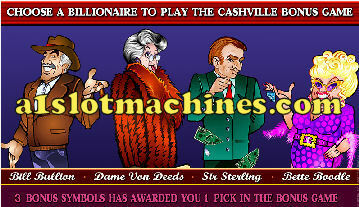 UK Fruit Machines & Casinos Find UK Casinos & Play Fruit Machines Online, read reviews and find a safe place to gamble. 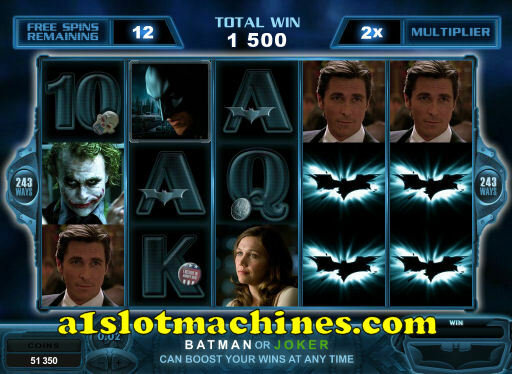 This slot machine game is based on the Batman film The Dark Knight, with images and designs straight out of the film (under license from Warner Bros), it’s a feature packed slot machine that comes with a chance at a progressive jackpot – so this one is for real money players only I’m afraid. Great features of this slot machine include scenes and characters from the official movie, a free spins feature, stacked wilds, random bonuses, a chance at a random increase in multiplier during the free spins and much more. Lines: 243 Ways to Win. Coin Size: Starts at 1c and goes up to 2c. You can bet up to x 10 at any coin size. Minimum Bet: 30c a Spin to cover all pays. Maximum Bet: 10 x 2c Coins at 30 Lines – so $6 a spin. Common Bet: 3 x 30 Lines at 1c Coin Level – $0.90 a Spin. Triggered by 3 scattered Joker symbols from The Dark Knight movie, you start with 15 free games at a 2x multiplier. At any time Batman or the Joker can appear during your free spins to increase your number of spins or even add to your multiplier, it’s totally random! As you can see, the substituting wild Batman symbols can appear stacked on reels – making the possible wins high for this game. This Batman theme slot machine game has a random progressive jackpot for real players at the casino. Choose whether you want to side with Batman or The Joker and it’ll spin up your prize. Very similar to casino links and jackpots found anywhere you can gamble. Another great bonus of this Batman themed slot machine. 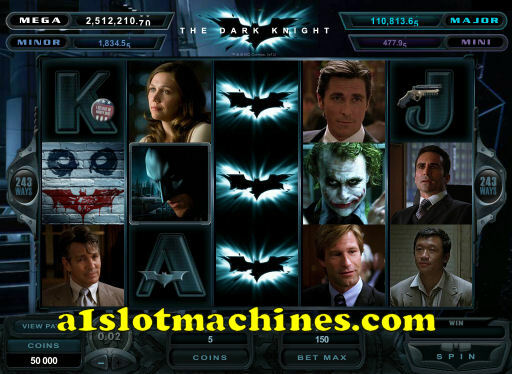 Our Rating for the Dark Knight Slot Machine: There’s plenty to keep you amused with this great slot machine, real images from the film, random rewards and bonuses, lots of character action from both Batman and the Joker. The chance a progressive jackpot over $1 million dollars never hurts either! We give it 5 out of 5 as a rating. 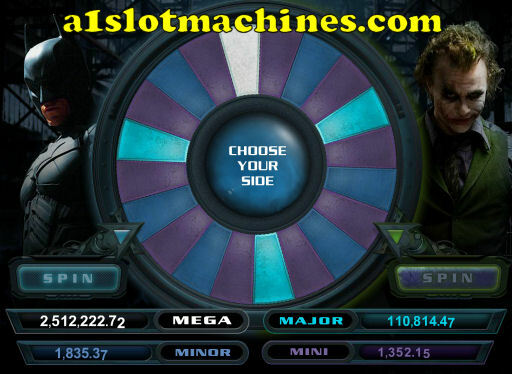 This Batman theme online slot machine is available in many of the casino software downloads found online (free download) and can be played both as a guest player for fun (no limits) or for real money using a wide variety of payment methods worldwide. You can play this Slot Machine at many Online Casinos – try Gaming Club! BATMAN and all related characters and elements are trademarks of and © DC Comics. © 2012 Warner Bros. Entertainment Inc. All rights reserved. This slot machine has a bank vault theme – with the Break da Bank logo being the wild (substitute symbol), a bank vault door symbol is the scatter. The other main symbols on this slot machine include; a large sparkling sapphire, stack of gold bullion, stacks of bank notes, stacks of gold coins and check book with a gold nibbed pen. It boasts up to 25 free spins with x5 multiplier and the wilds substitute and can pay x5 to x25 of your staked bet. Lines: 9 lines – We recommend playing all 9 line to maximise the chance of pays. Coin Size: Starts at 1c and goes up to 50c per line. You can bet up to x10 at any coin size. Minimum Bet: 1c we suggest 9c per spin. Maximum Bet: 5 x 50c at 9 lines – $45 per spin. Common Bet: 10 x 9 lines at 1c coin size – 90c per spin. Free spins are triggered by 3 or more of the bank vault door symbols any where on the reels. You are awarded a set amount of spins depending how many bank vault door symbols triggered the feature – 3 awards 15 free spins, 4 awards 20 free spins and 5 awards 25 free spins. Free spins cannot be re-triggered but every bank vault door symbol that shows up during your free games adds an additional free spin. Another bonus comes alive during the free spins that makes this slot machine exciting and can lead to big pays is the substitute break the bank logo. If you spin in a win and the break da bank logo substitutes for 1 or more of the winning pays you get a massive x25 multiplier for that win. The break da bank logo substitutes for any symbol except the scatter. During normal gameplay, if one of the winning symbols is substituted by the Break da Bank Logo it pays a x5 multiplier for that win. If you do this during free spins it pays out a gigantic x25 for that win. This slot machine has a gamble feature where you can gamble any win up to the gamble limit which is approximately 5 chances to gamble your win. If you gamble a win it can either be doubled by picking red or black or quadrupled by picking the correct suit from a standard pack of playing cards. Our Rating for Break da Bank Again Slot Machine: We have given this a high rating of 4 out of 5 due to the chance of big pays. It does keep you interested as free spins are not as rare as on some slot machines and you often get additional spins. We also really like the multiplier from the substitute symbol and a personal favourite of mine is the gamble feature. I gamble small wins often to significant wins, increasing the amount I win. Every ones luck is different and all reviews are carried out by real people. We play the slots game multiple times times to give a fair review. This bank theme online slot machine is available in many of the casino software downloads found online (free download) and can be played both as a guest player for fun (no limits) or for real money using a wide variety of payment methods worldwide. You can play this Slot Machine at many Online Casinos – try River Belle! 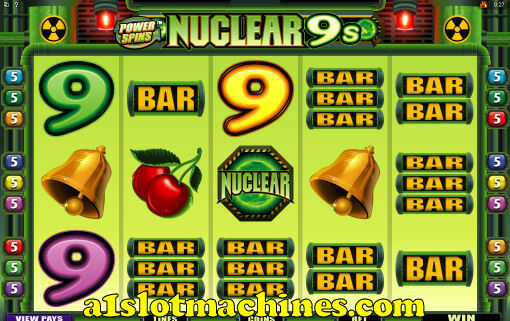 This powerspins slot machine has a nuclear reactor style theme with the opening screen having the reactor turned off. The main symbol is the number 9 which is reflected in its name and comes in 4 colours with the wild symbol the nuclear logo. The scatter is a spinning atom surrounded by nuclear activity. The other symbols are classic retro symbols including; 3 types of bars, bells and cherries which is reminiscent of what the English call fruit machines. This slot machine has 2 different ways to be played, the first is with the power spins turned off and secondly with it turned on. You can only be awarded the rolling reel feature if the power spins is activated. This is one of the newer slot machines in the casino software and has a unique concept, which is the third one in this series to be released. You can only get the rolling reels feature if you turn on the power spins and in doing so it costs you x3 of your current bet. For example: if you bet 1c x9 ways your base bet is 9c, which means your line bet is 3c. When you turn on the power spins your bet is 12c instead of 9c. We highly recommend turning on the power spins as it really is worth it. Coin Size: 1c going up to $2 per line. You can bet up to x10 of any coin size. Minimum Bet: Normal Game Play is 1c = 9c per spin. Power Spin Game is 1c = 12c per spin. Common Bet: Normal Game Play 1 x 9 win lines at 10c coins size – 90c per spin. Power Spin Game is 1 x 9 win lines at 10c coin size + x3 of current line bet – $1.20 per spin. When you play the power spin game all winning symbols dissolve with a bang causing the affected reels to roll down. This has the potential of additional wins and ends when no wins drop in. This means you can result in consecutive wins with the initial win being x1 and every consecutive win being x2 multiplier. Once rolling reels feature ends the multiplier returns to x1. Aside from the nuclear logo symbol being wild there is the atom scatter symbol which is added to any win in view. The scatter symbol are on all 5 reels, wins are multiplied by total bet staked for 5 scatter symbols pays 270 x your staked bet. 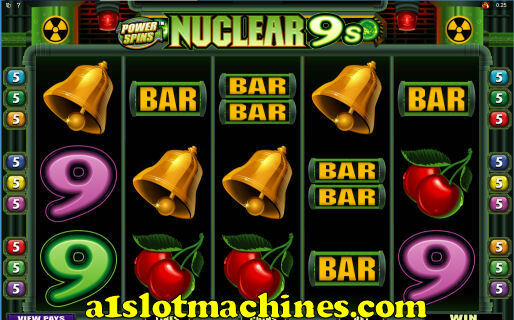 Our Rating for Nuclear 9s Slot Machine: We rate this slot machine 3 out of 5. Whilst it has paid out a lot we did become a little bored of the game play as there is no free spins or bonus feature. This is personal choice I prefer machines with features that are activated with symbols spinning in but i know everyones tastes are very different. You can play this Slot Machine at many Online Casinos – This slot machine review was from Jackpot City. All of the Slot Machines Reviewed on A1 slots have some sort of jackpot or bonus feature – these games provide the most fun when playing slots online. 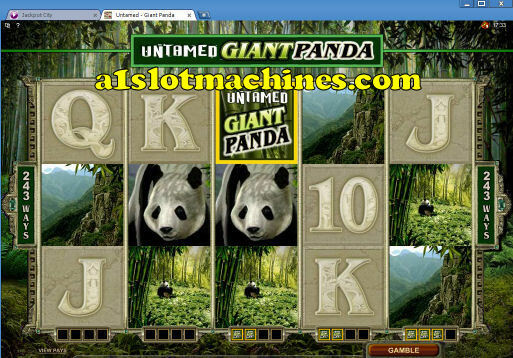 This slot machine game features a giant panda theme, with wildlife photos, scenic images and the untamed giant panda logo making up most of the symbols on the reels. Other symbols include the standard A, K, Q, J and 10 and the special panda eye symbol. 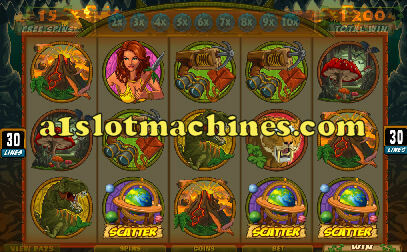 This slot machine game also has a range of new features for 2012 – interesting game play! Lines: 243 Ways – You need to bet at least 30c a spin. Coin Size: Starts at 1c and goes up to 5c. You can bet up to x 10 at any coin size. Minimum Bet: 30c a Spin. Maximum Bet: $22.50 a Spin. 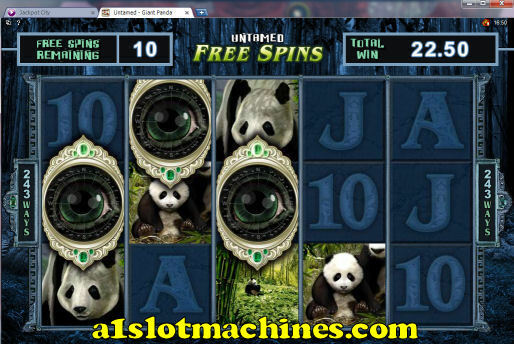 The free spins bonus awards 10 free games with any 3 or more giant panda eye symbols – these can appear anywhere on the 5 reels. This slot machine has an added extra of randomly pulling up the third panda eye from outside of the 3 lines in view. So even if you spin up only 2 panda eyes, the game may add the 3rd one in for you and trigger the free spins feature. During your 10 free spins, any wild symbols that land anywhere on your reels stick around for the rest of your free spins and acts as a substitute for all symbols except the scatter. The Collect a Wild feature is played out during normal game spins. Whenever a wild symbol appears on a reel, it’s added to one of four slots at the bottom of that reel. When you collect four of these, the entire reel turns wild and stays that way for the next four paid spins. This can lead to great extra pays and if you manage to have two reels wild at the same time, can result in great pays of 5 of a kind etc. Our rating for the Giant Panda Slot Machine: We gave untamed giant panda a rating of 5 out of 5. The stackable substitutes, free spins feature, extra collect a wild feature and unique gamble screen makes for interesting game play. It kept our attention and the possibility of multiple fully wild reels is always worth gambling on. This wildlife theme online slot machine is available in many of the casino software downloads found online (free download) and can be played both as a guest player for fun (no limits) or for real money using a wide variety of payment methods worldwide. This review has been written by a real player of the free slots software and comes from longtime experience playing this slot machine. You can play this Slot Machine at many Online Casinos – try Riverbelle Online Casino! This slot machine is themed around an epic journey by a handsome explorer who has to fight his way through many adversaries to get to the treasure – reminding me of the famous Indiana Jones adventures. The main symbols show the good looking adventurer, a tough but beautiful female native, T-Rex dinosaur, sabre tooth tiger, volcano, strange mythical ruins with eyes, giant mushroom and binoculars & grapple. The scatter symbol which triggers the free spins is an antique globe with rotating planets. The wild symbol is a power drill and can only be found on the middle reel the ‘Grand Journey’ logo which is found on all 5 reels is stacked. 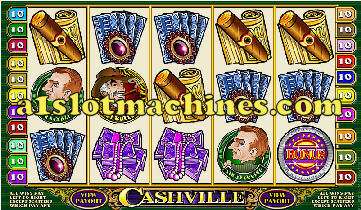 This slot machine software can be found in many online casinos including Jackpot City Online Casino. Coin Size: 1c up to 50c. You can bet up to x20 of any coin size. Minimum bet: 30c per spin which covers all 30 lines. Maximum Bet: $30 per spin. Common Bet: $1.20 per spin. Free spins is triggered by 3 or more globe scatter symbols anywhere on the reels and when this happens 15 free spins are awarded. The multiplier starts at x1 going up to a possible x10. It is unusual and exciting as the multiplier goes up with spinning a non-win and and goes up in increments of x1 until it reaches a possible x10. Spinning a win in restarts the multiplier increments back to x1. Free spins cannot be re triggered during this feature. The expanding wild trigger is only found on the third reel and the symbolized with a drill. If the drill symbol spins in down the center reel, it makes the whole reel wild but it also has a x2 multiplier for every win it substitutes in. This can happen during normal game play and during the free spins feature. By far (and one of our favorites) that is very exciting is the stacked substitutes that are symbolized by the ‘Grand Journey’ logo. These are on all 5 reels and has led to some very large payouts for us. Both the wild and drill substitute symbols do not substitute for the free spins trigger. Our Rating for Grand Journey Slot Machine: We have rated this machine 4 out of a 5 and would recommend you give it a try. It has a very unique multiplier feature during the free spins by increasing every time you do not spin a win in. It is worth playing as it has the potential of very high payouts with the wilds and stacking substitutes. Our only criticism is that for us the feature did not come in often but that’s because of the potential of the x10 multiplier and the stacked substitutes however our luck will differ to everyone else’s. 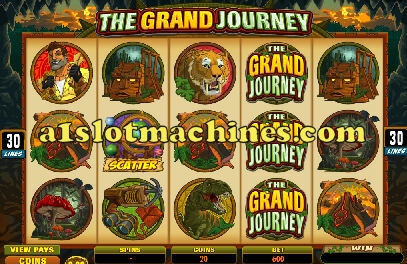 Grand Journey slot machine is available from a variety of online casinos we tried it from Jackpot City and can be played fro free or pay to play from link below. 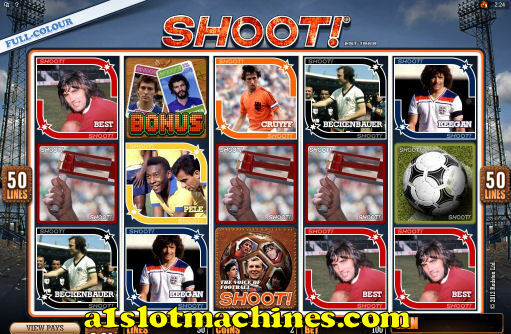 This slot machine game features world-renowned soccer magazine Shoot! and images from the magazine of famous soccer players make up most of the symbols in the game. Other symbols include the shoot substitute/wild symbol, noise makers, a soccer ball and a meat pie – a must-have snack at English football games! There’s 3 possible features to win (there are two features within the bonus feature) and a lot of famous faces for soccer fans during game play – sure to please the sports-mad gambler. 3 Bonus Feature Symbols anywhere on the reels. Lines: 50 Lines – You need to bet at least 50c a spin. Coin Size: Starts at 1c and goes up to 50c. You can bet up to x 20 at any coin size. Minimum Bet: 50c a Spin to cover all paylines. Maximum Bet: 20 x 50c Coins at 50 Lines – so $500! Common Bet: 2 x 50 Lines at 1c Coin Level – $1.00 a Spin. Play this football themed slot machine at Jackpot City Casino. The first bonus game on this slot machine game is called the trade em bonus and is triggered by 3 scattered bonus symbols anywhere on your reels. 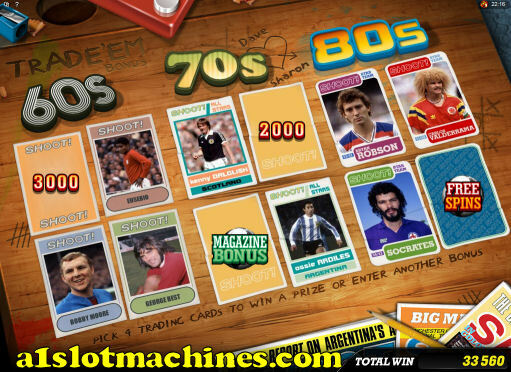 You are taken to a screen with famous football cards from the 1960s, 1970s and 1980s and you’re allowed to choose 4 cards. You can either win random bonus amounts of cash or trigger 1 (or both) of two more features. Firstly, there’s a free spins feature where you can win between 10 and 35 free spins with no multiplier. Secondly there’s a magazine bonus which gives you an opportunity to win more bonus cash amounts – it ends when you click on a Shoot! magazine cover and find a red card. Our Rating for the Shoot! 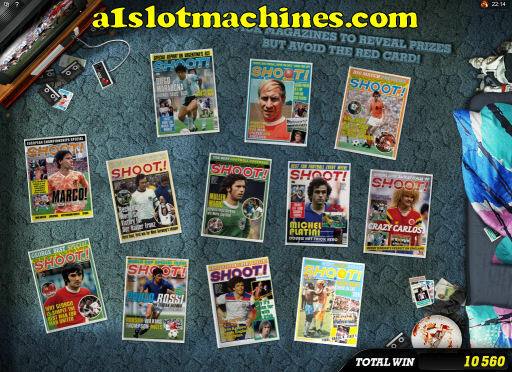 Magazine Slot Machine: We’ve given this soccer themed slot machine a rating of 5 out of 5, it’s actually quite fun to play and we found plenty of decent pays to keep our attention. If you’re a football fan, this slot machine will probably hold your attention for a long period of play time. All the slot machine games reviewed on A1 Slot Machines feature either free spins or a bonus feature – more fun when playing slots online for fun or real money! This 243 way slot machine is themed around the burning desire with some of the symbols being surrounded by a flame of desire notable a red rose, diamond and a bell. It has the usual classic symbols of bars and 7s perhaps the burning desire is getting 5 of these for the payout. It also has a flamed heart with burning desire written through it and these only appear on reels 2 and 4 and substitute for everything but the gold coin which triggers the free spin bonus. Lines: 243 ways- We recommend playing 25c per spin for maximum chance to pay. Coin Size: Starts at 1c and goes up to $2. You can bet up to x10 of any coin size. Minimum Bet: 1c we suggest 25c per spin. Maximum Bet: up to $500 per spin. Common Bet: 4 x 25 lines at 1c coin level = $1 per spin. Spin in 3, 4 or 5 flaming gold coins anywhere on the 5 reels and you will get 15 free spins with x3 multiplier. Free spins can be re-triggered by getting 3, 4 or 5 flaming gold coins anywhere on the 5 reels during the feature. The free spins does seem to payout well and during free spins and in normal game play 5 of the 9 or 10 symbols seem to be a common payout, often with the burning heart substitute symbol present. All wins from normal game play or from the total won with free spins can be either collected or gambled. The gamble is to double your win by choosing red or black and can continue up to the gamble limit. Our Rating for the Burning Desire Slot Machine: There is nothing unique or different with this slot machine but it allows you to choose up to $500 per spin which is the highest amount I have seen and all wins are multiples of your stake making for very lucrative payouts the higher you pay per spin. You do get regular wins and the free spins have come in very often for me but everyone’s luck is very different. We have given this machine a 3 out of 5 rating personally I enjoy slot machines with a bonus feature additional to the free spins. 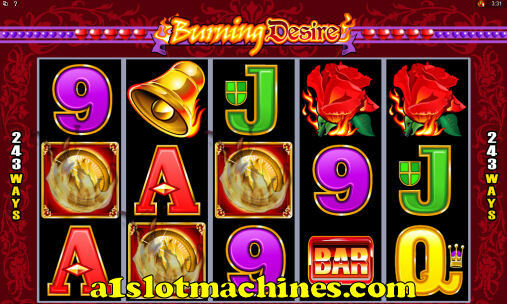 Burning Desire slot machine is available from a variety of online casinos we tried it from Lucky Nugget! This fishing themed slot machine features 243 paylines and two different fun features including a free spins feature and a fly fishing bonus. It also has one of our favorite things, stacking wild symbols! 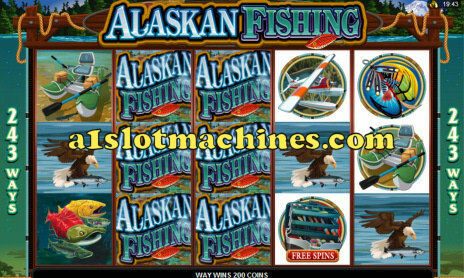 The theme uses animals and images from Alaska and fishing – a great slot machine to play in your casino software. Coin Size: Starts at 1c and goes up to 10c. You can bet up to x 10 at any coin size. Minimum Bet: 30c a Spin is needed. Maximum Bet: 10 x 25c Coins at 30 Lines – so $75. The fly fishing bonus feature is triggered when you spin up the fisherman on the 1st and 5th reels. 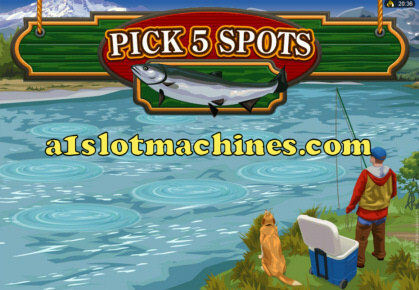 You’re taken to this bonus screen and you choose 5 spots to cast your fly out – each spot awards you a bonus of between x2 and x15 your original bet – you can catch small, medium and large fish with varying bonuses that match the fish size. These bonuses add up at the end and are automatically added on to your total credits / coins. Spin up 3 or more tackle boxes and receive 15 free spins with a x 2 multiplier. Free spins can be re-triggered during your free games and you can also get the Fly Fishing bonus during these spins. This feature rarely ends with low winnings, the sheer amount of paylines, stacking wild symbols and the x2 multiplier all add to your wins for this game. 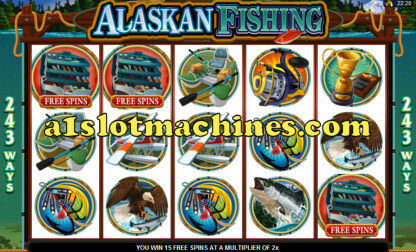 Our Rating for the Alaskan Fishing Slot Machine: We have no problem giving this game a 5 star rating. The features come frequently, the pays are excellent, we’ve had long streaks of great wins on this slot machine. Of course everyone’s luck is different but it’s absolutely worth some of your attention. 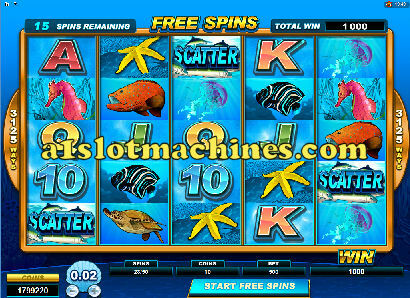 This fishing theme online slot machine is available in many of the casino software downloads found online (free download) and can be played both as a guest player for fun (no limits) or for real money using a wide variety of payment methods worldwide. This review has been written by a real player of the slots software and comes from longtime experience playing this slot machine. Dolphin Coast Slot Machine – 3125 Ways to Pay! 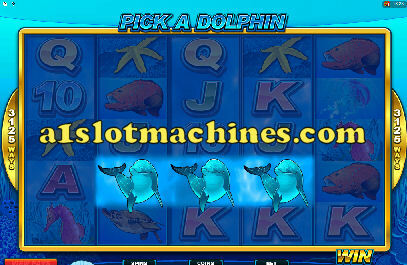 Dolphin Coast Online Slot Machine features a marine animal theme. Various creatures make up the symbols including jellyfish, turtles, seahorses, fish and of course dolphins – also the substituting wild symbols on this game. The rest of the symbols are made up of A, K, Q, J, 10 and the scatter. There’s also a Dolphin Coast logo that only appears on the middle 3 reels and triggers a multiplier bonus. Lines: 3125 Ways to Win. Minimum Bet: 50c a Spin is the least you can wager. Maximum Bet: 10 x 10c Coins at 50 Lines – so $50. Common Bet: 1 x 50 Lines at 1c Coin Level – $0.50 a Spin. Once you spin up the dolphin coast logo in any paying spin, 3 dolphins appear across the center reels and you have to choose one. Your selection gives you a multiplier of 2x your win, 3x your win or 4x your win. Obviously if your original win was large, this can be a wonderful bonus feature! The free spins feature on Dolphin Coast Slot Machine can be quite lucrative, despite all wins are not multiplied – unlike most free spins features. During your, 15, 20 or 25 free games, all of the high symbols can appear stacked on the reels, including the wild dolphins, which substitute for all symbols (except the scatter and Dolphin Coast logo). In this free spins bonus, you can win up to 7.5 million coins! I absolutely love getting this feature, it rarely fails to pay well. Our Rating for the Dolphin Coast Slot Machine: We have loved this game ever since it was released! If it could be given 6 out of 5 rating, we would. The free spins feature and the stacked wilds in general have given us some of the biggest pays we’ve ever experienced while playing slots online. We cannot recommend this slot machine more! 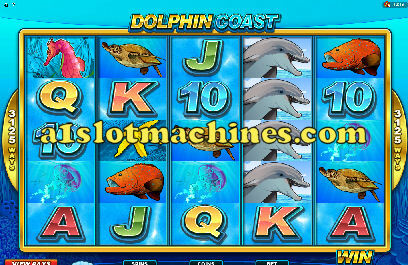 Dolphin Coast is available in a variety of online casino softwares – try Riverbelle Casino. All of the Slot Machines Reviewed on A1SlotMachines have some sort of jackpot or bonus feature – these games provide the most fun when playing slots online. This slot machine is one of our personal favorites. With a billionaires theme, the symbols include cigars, money, stocks, coins and a symbol for each billionaire who takes part in the bonus game. It has a choose your own bonus style feature where you select a billionaire to work with. Lines: 20 Lines – We Recommend Playing all 20 Lines for Maximum Chance of a Pay. Coin Size: Starts at 1c per line and goes up to 20c per line. You can bet up to x 10 at any coin size. Minimum Bet: 1c – We Suggest 20c a Spin. Maximum Bet: 10 x 20c Coins at 20 Lines – so $40. Common Bet: 10 x 20 Lines at 1c Coin Level – $2 a Spin. When you get 3, 4 or 5 bonus coins, the billionaire bonus screen comes up (as seen on right). On this screen you choose one of the billionaires to continue on and claim your prize. After you choose which billionaire you’d like to work with, you’re taken to that billionaires screen to uncover your reward. The pictures below show these screens before a choice has been made. 3 bonus coins earns you one pick from the bonus screen, 4 bonus coins earns you two picks and 5 bonus coins earns you three picks from the bonus screen. Our Rating for the Cashville Slot Machine: The bonus feature on the Cashville slots makes this game fun to play. Regular pays with other billionaire symbols also makes your game play last longer. You can play this Online Slot Machine at many online casinos – try Riverbelle Casino! All of the Slot Machines Reviews on A1SlotMachines have some sort of jackpot or bonus feature – these games provide the most fun when playing slots online. Disclaimer: We do not have our own gaming software, you cannot gamble on this website. This website offers Slot Machine Reviews based on our own experiences playing these slots games online. Please view the actual casino websites for more information about real online gaming. Payouts, jackpots and other prizes are subject to change so be sure to check the casino website before you play.